No question, 2003-04 will go on record as a frustrating season for many skiers in the east. Things started out promisingly in early December as a series of Nor’easters blanketed ski areas with snow that was, as the cliche goes, measured in feet rather than inches. However, within a couple days of each storm, wet warm fronts quickly moved in and doused the region with torrential downpours that washed away the majority of all that hard-earned powder. Whatever snow that remained was promptly frozen solid by temperatures that, almost on cue, plunged down to the teens shortly thereafter. January and February were either brutally cold with little or no precipitation, or above freezing and threatening to rain. When I arrived at the upper parking lot a few minutes later, attendants were informing excited customers that five inches of dry snow had built up overnight. Even though I was delighted to find loose and packed powder after anticipating a day of god-awful boilerplate, somehow, I wasn’t surprised. During my more than 25 visits to Belleayre Mountain since 1999, more often than not, conditions were better than I had any right to expect. With average annual snowfall around 150 inches, no one will ever confuse Belleayre’s precipitation totals with Utah’s Cottonwood Canyons or even East Coast powder champion Jay Peak. Positioned on the western edge of New York’s Catskill Mountains, it can be the lucky recipient of moisture-laden Nor’Easters swirling up from the south or lake-effect storms streaming down from Lake Ontario. However, as any regular will tell you, Catskill winters can be notoriously fickle, with long dry stretches, rain, and sleet, as well as fluctuations between sub-zero temperatures and spring-like warmth, sometimes within the same week. That’s why, under the leadership of superintendant Tony Lanza, Belleayre continues to earn praise year after year by concentrating on the things that don’t make great brochure or website headlines: reliable snow conditions, family friendly prices and services, and an unpretentious, old-school atmosphere. 96% snowmaking coverage doesn’t mean much unless you also have a talented staff that knows how to both create and manage snow, and Belleayre has that in spades. 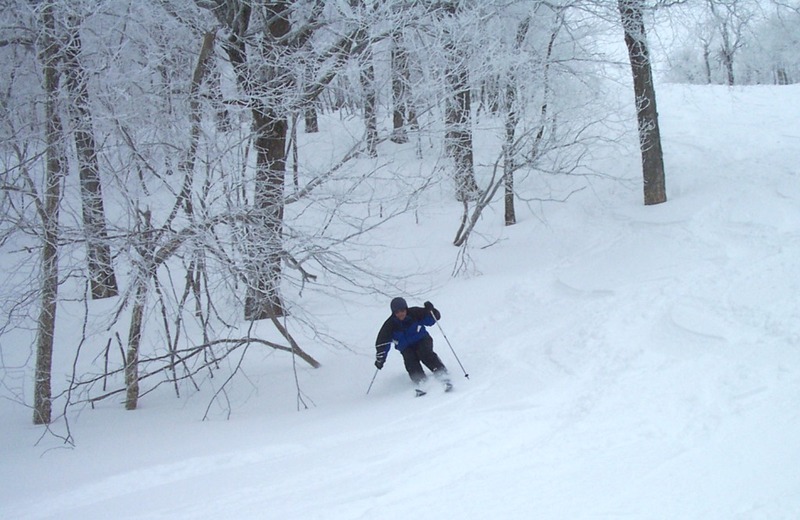 And while no other ski area can compete with Hunter’s ability to create a man-made blizzard, once a good base is down, Belleayre provides what many believe to be the most consistent conditions in the Catskills. 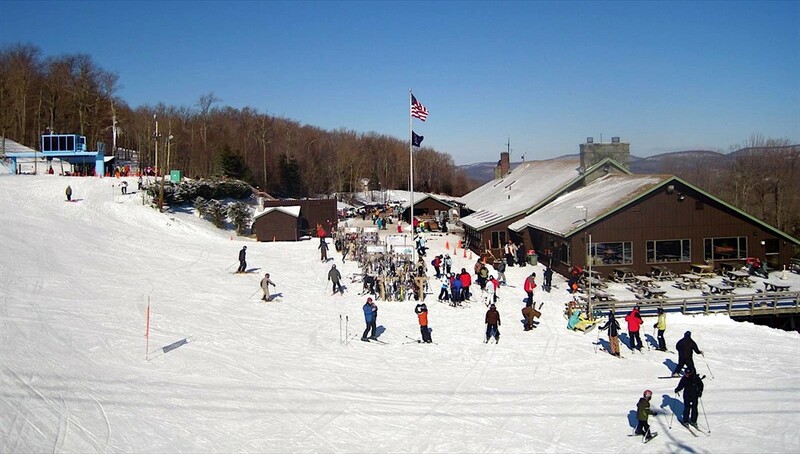 Moreover, the mountain’s orientation, facing directly north, helps preserve snow and allows the area to stay open through mid-April (weeks after most northeastern resorts have packed it in for the season). Moreover, Belleayre’s ability to spread out crowds has always meant that it’s a great option for weekend warriors trying to avoid lift lines. 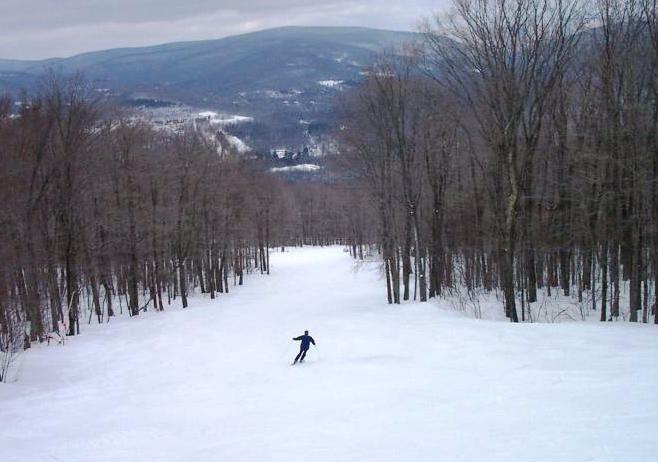 Even on a mid-winter Saturday, you can often ski right onto Lift 7 or the Tomahawk quad. In particular, the trails between those two upper lifts always seem to be relatively deserted. That said, positive word of mouth about Belleayre means that it’s not quite the quasi ghost town it used to be. On peak weekend days and holidays, the lodges can get cramped. Stretching across a long, flat ridge, most of the trails on the upper mountain begin with a sharp drop. Some of these steep sections are groomed, while others are left to develop generous bumps. After this initial plunge, the runs morph into groomed blue squares that twist and turn down the fall line to the Lift 7 or Tomahawk chairs. While some view such trails as annoying flats, to me, these cozy, tree-lined runs are the skiing equivalent of what potato chips, Oreos, or Haagen Dazs ice cream are to couch potatoes. With their ideal intermediate pitch, they’re nearly perfect examples of East Coast cruising terrain, to the point that I’m often lulled into a difficult-to-describe Zen sensation in which it feels like the trails are skiing me, instead of the other way around. In addition, the two fixed-grip lifts on the skier’s right have mid-station ramps, so intermediate skiers can get off there and avoid the steep sections up top. Finally, below the main lodge, beginners will find a nice selection of green runs that are completely segregated from the rest of the mountain and feature two dedicated lifts. This layout eliminates the possibility for collisions between novices and more advanced skiers barreling down the lower mountain at full speed to get back to the lifts. While tree skiing is rarely mentioned in trip reports from Belleayre, you’d be surprised how good the woods are after a nice dump. In addition to the marked glades alongside the Super Chief and Tomahawk quads, the west side of Dot Nebel is a pitch-perfect woods run that practically no one bothers to venture into. In fact, between most of the upper mountain trails you can sniff out short tree shots that provide lots of sweet low-angle powder turns. 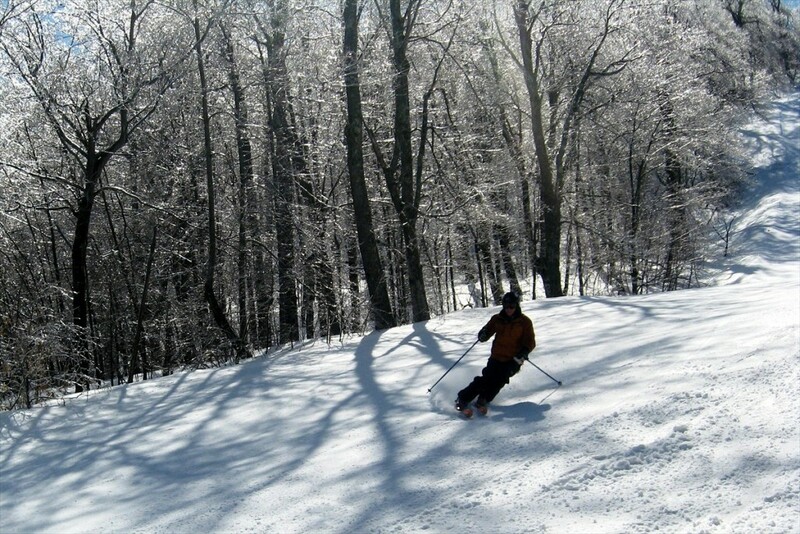 If you’re feeling more adventurous, traverse uphill or take the “Belleayre Beast” to Cathedral Glen — recently voted one of the Top Ten expert glades in the East by Snow East Magazine — for a little Mad River Glen in the Catskills. For decades, perplexed visitors have scratched their heads and wondered why trail designers plopped a set of buildings, a large access road, and several parking lots at mid-mountain. The answer is actually simple. When Belleayre Mountain became a ski center in 1949 with the very first chairlift in New York State, artificial snowmaking still hadn’t been invented. Thus, it made sense to put a main base lodge there to give skiers easy access to the upper terrain, which held the best snow. Unfortunately, it basically cut a 2,000-foot mountain in half and segmented the vertical drop. 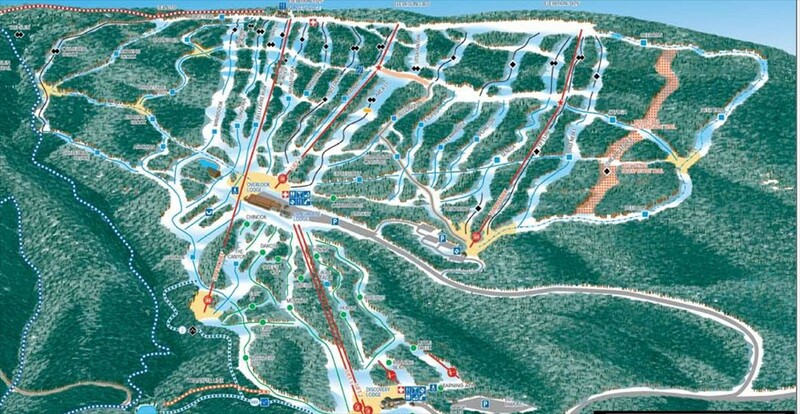 Belleayre is still waiting on a long-awaited expansion plan that would add new intermediate and advanced trails on the eastern side of the property, an expanded and renovated base area, along with a combination of high-speed lifts or a detachable gondola/chairlift hybrid that would increase the area’s continuous vertical to almost 2,000 feet. 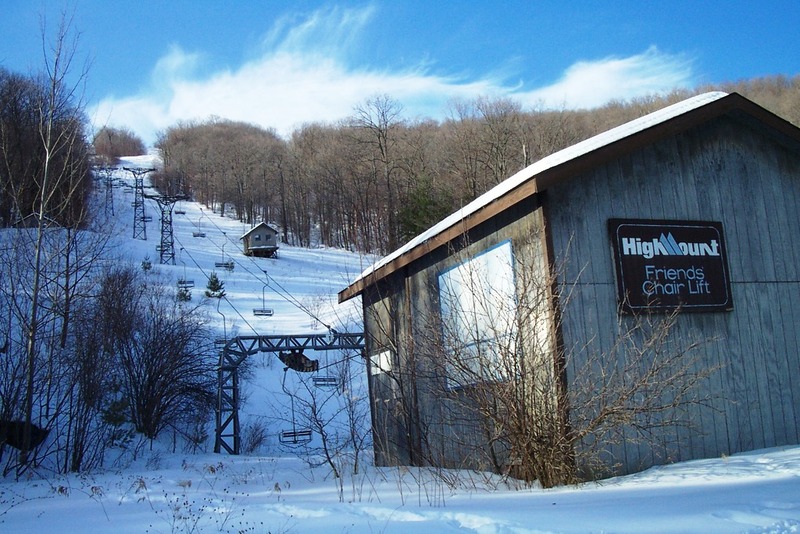 Plans are also afoot to annex the former Highmount ski area directly next door on the far skier’s left of the state property (just a short walk from the newly opened Deer Run trail). For those unaware of it, Highmount is a dream come true for any self-respecting lost ski-area fanatic. Poking around the abandoned base area and peering through the windows of the buildings, curious trespassers will discover a creepy ski ghost town reminiscent of Mittersill at Cannon Mountain, New Hampshire. Closed since the end of the 1993 season, it appears as if employees just got up and left, and forgot to vacate the premises. There’s nothing sadder than an abandoned ski area, but Highmount is a particular sore spot for me. 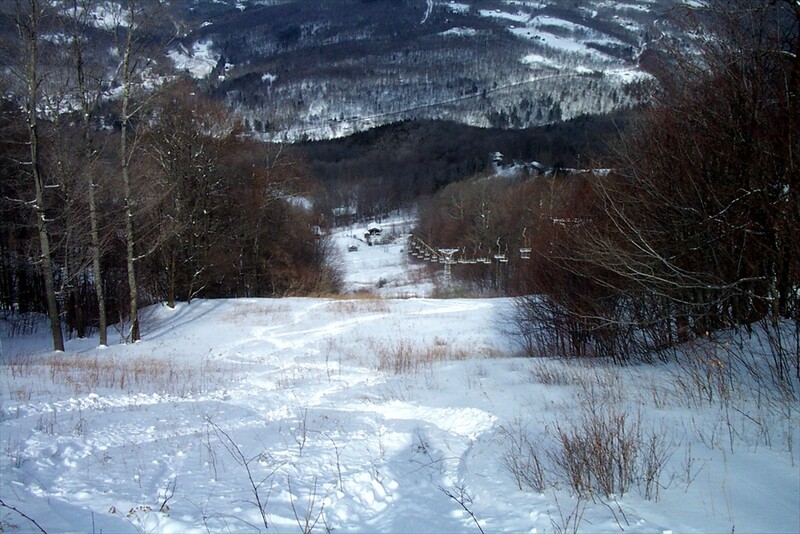 With a continuous vertical of 1,050 feet, the pitch is more sustained than at Belleayre, and the undulating, twisting intermediate trails, particularly the ones alongside the old Mueller double chair, are great fun. It’d be a welcome addition to Belleayre. I’ve got Jamesdeluxe to thank for turning me on to Belleayre in particular and the Catskills in general. Last season was another year that was loaded with hardship for eastern skiers, especially in New York. At the end of January we skied a day at Belleayre after an UGLY weather event. Mountain ops made an interesting decision to concentrate all their snowmaking firepower onto a few expert runs including Winnesook and Tongora. While it wasn’t a ton of variety, there was excellent manmade on two challenging trails, that kept us going all day long. Don’t forget those great runs down Cathedral Glen. With only 46 inches of natural snow and at least two rain/freeze events, it still skied like velvet.